If I am entirely honest, a good few of my Saturday afternoons are spent reading or napping on the couch. Sure, there may be lawn mowing or other activities involved, however external educational opportunities are not the norm. Let’s face it, my favourite segment of the weekend – with all of it’s promise – often finds me in a comfortable chair, utilising the I’ve got all day tomorrow to (insert procrastinated activity here) principle. That being said, last weekend provided an opportunity too good to pass up, and the chair received a wave goodbye as I headed out the door on my way to Extraction Artisan Coffee’s inaugural Coffee Appreciation Course. 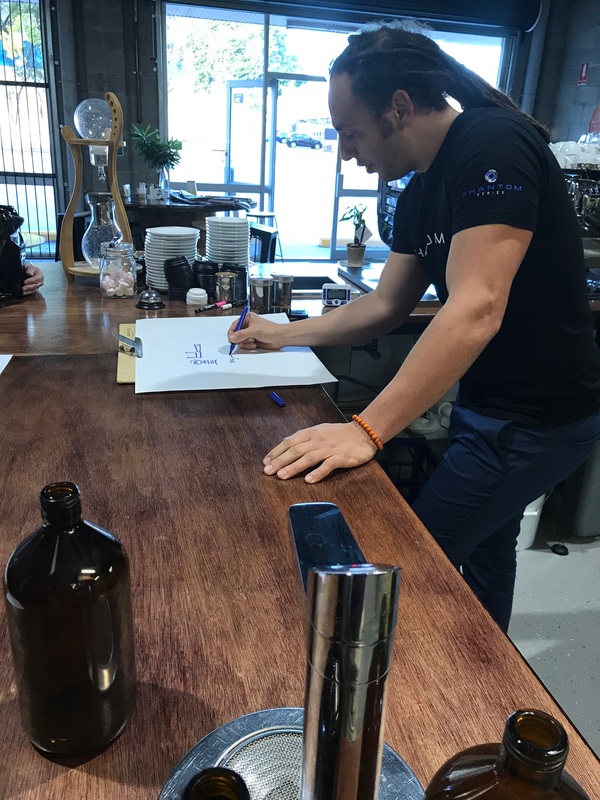 It was obviously not too difficult a decision to go and learn from a very passionate and knowledgeable professional in Danny Andrade, whose acquaintance I made several years ago when he worked as a barista in the Brisbane CBD. 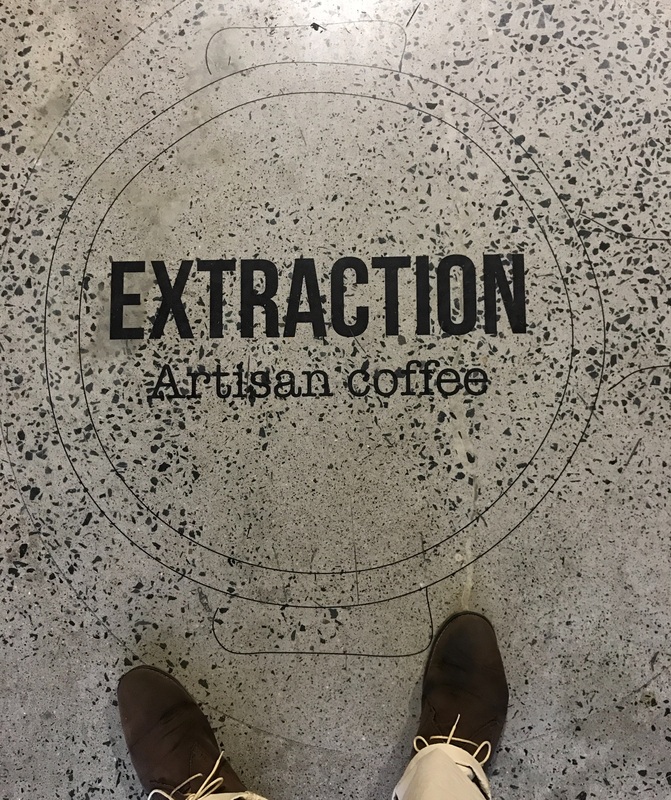 Social media and the occasional Bean Brewding Coffee Tour have provided a means with which to follow along as Danny’s coffee career has progressed, and I was over the moon to see the initial teasers a little over a year ago as Extraction Artisan Coffee began to take shape. It looked like my kind of place — and even better — is on my side of town. 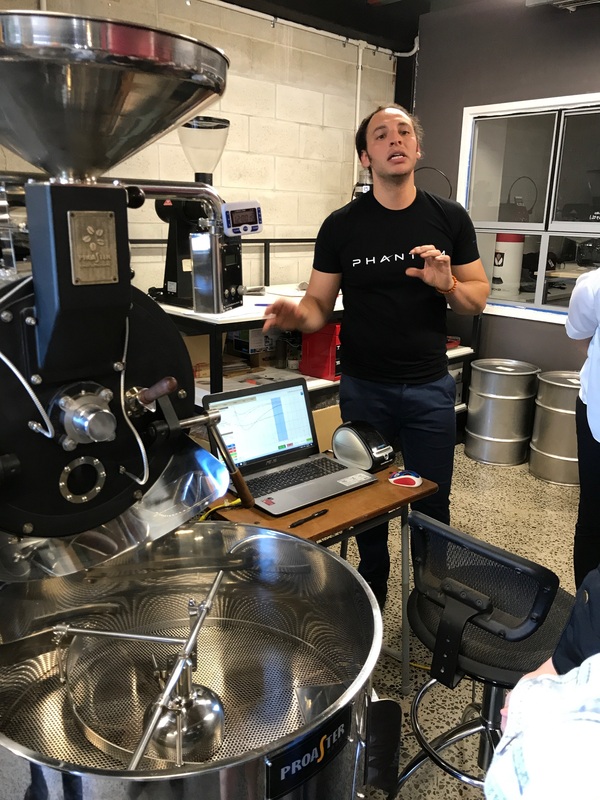 Always on the lookout for opportunities to learn more about coffee and refine my home roasting and brewing skills, I enthusiastically ventured to Extraction in the knowledge I’d be leaving far better off in these areas than when I arrived. Really — is there a better way to spend a Saturday afternoon? The afternoon began in an upstairs meeting room, with Danny taking us through some slides explaining and illustrating many things, including but not limited to: the taxonomy of coffee; how it is grown and produced; processing methods; and world coffee production, farming, and trade relationships (including Extraction’s philosophy and future plans in this area). Passed around the room were various green bean samples from different countries, growing elevations and processing methods, along with some examples of green bean defects which need to be removed prior to roasting. 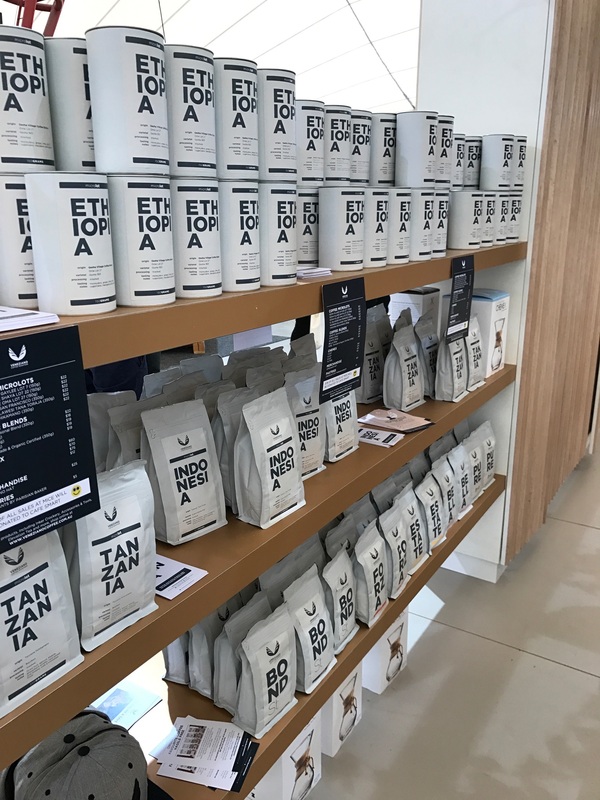 A recurring and very important theme throughout this part of the course was the immense amount of resources required, and the inherent difficulty in producing specialty grade coffee. Those working hard to improve the industry — whether back at the farm or at your favourite café — are certainly worthy of our respect and support. Next it was downstairs to the roasting room adjacent to the café itself, where we observed a washed Colombian coffee go through the sample roaster. 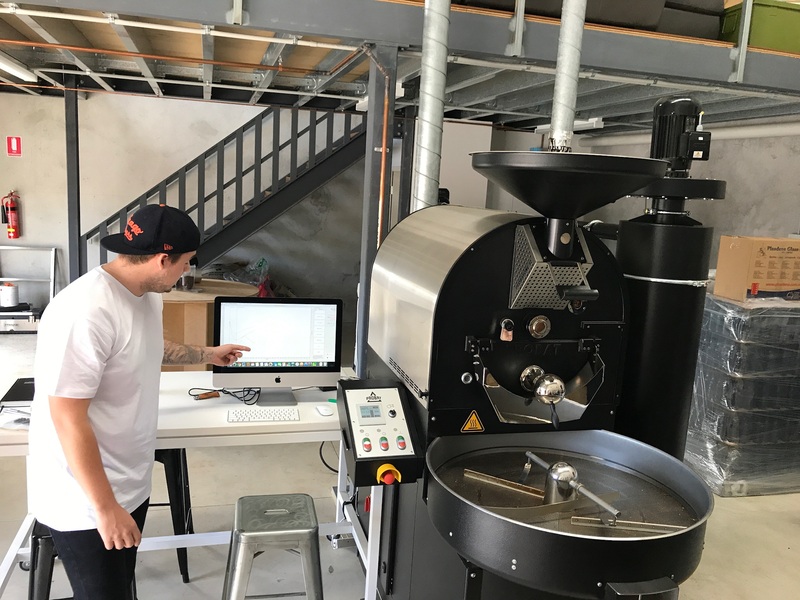 Here we learned some more specifics about the phases of roasting, and Danny’s particular approach at Extraction, which aims to preserve and highlight as many of the flavours in the coffee as possible. 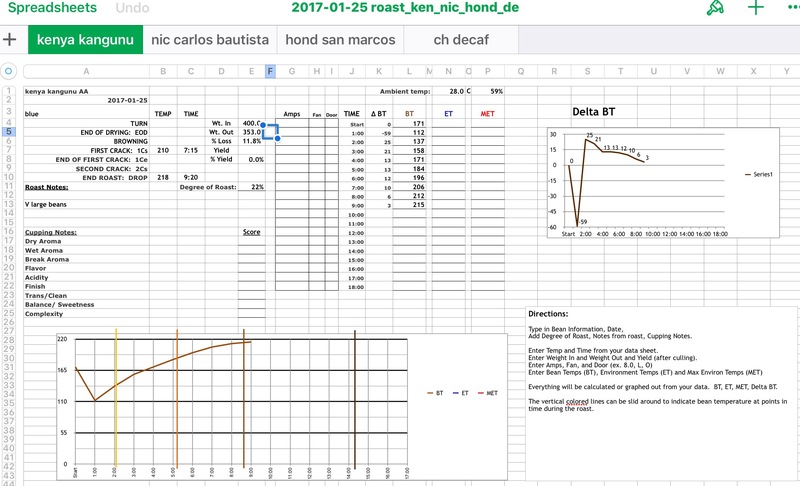 After tracking the time, temperature and key points within the roast, we had a look at the resulting curve produced, and compared that with a recently completed roast profile of the 10kg production roaster Danny uses to keep the Extraction grinder hoppers full of either single origin coffee or the signature Gratitude Blend. A quick colour analysis on the sample roast confirmed it was to the required medium-light level, and we then moved onto the sensory stage of the course. 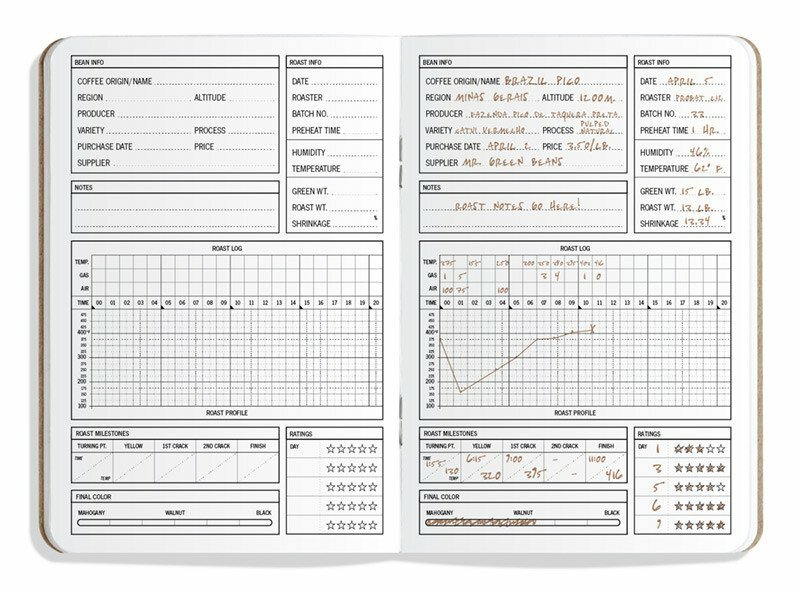 With a lot of thought and no shortage of competitive spirit after splitting into two groups, it was time for some aroma analysis and identification using the Le Nez du Café aroma kit. 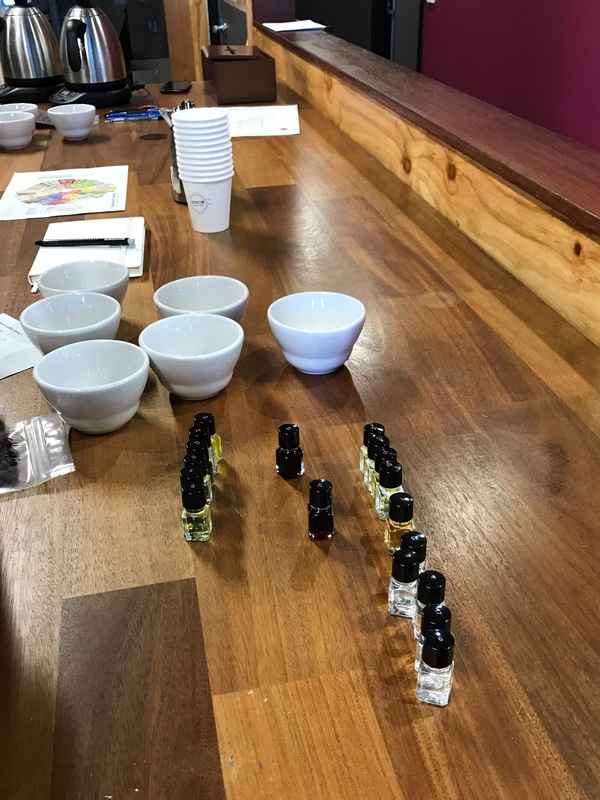 With our olfactory systems doing their best to identify the various samples, we eventually reached a little sensory fatigue on the last few aromas. Overall I think we did pretty well, and whether I was in the “runner up” group or just the one which had the “harder” of the two series of samples I’ll leave for you to decide. I’ll be sure to make note of that cooked beef aroma next time I’m in the kitchen! 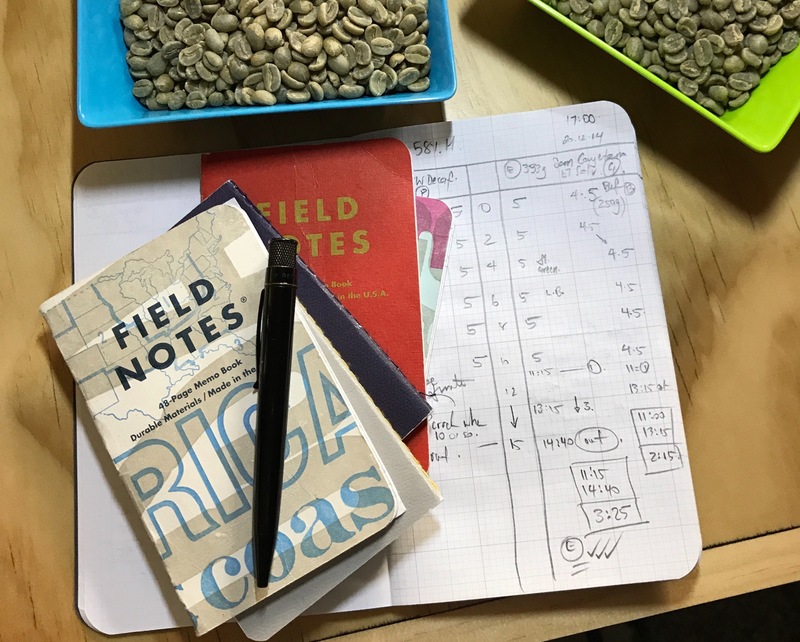 Next up, the familiar slurp of a cupping room, as we compared a washed process Colombian coffee with an Ethiopian natural, assessing and noting the contrast (origin differences aside) and effect different processing methods impart on the resulting cup. 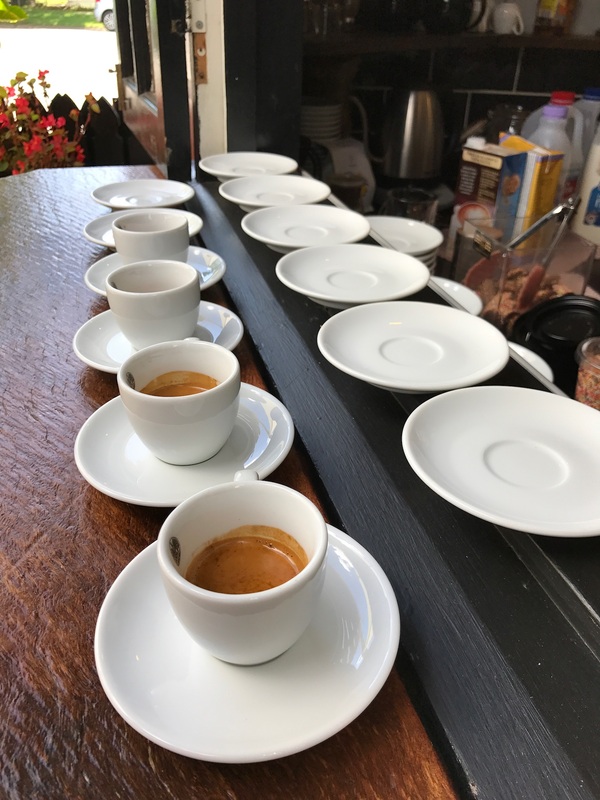 Along the way we also learned more about the methods and importance of cupping, and how it relates to what is ultimately served in the café. 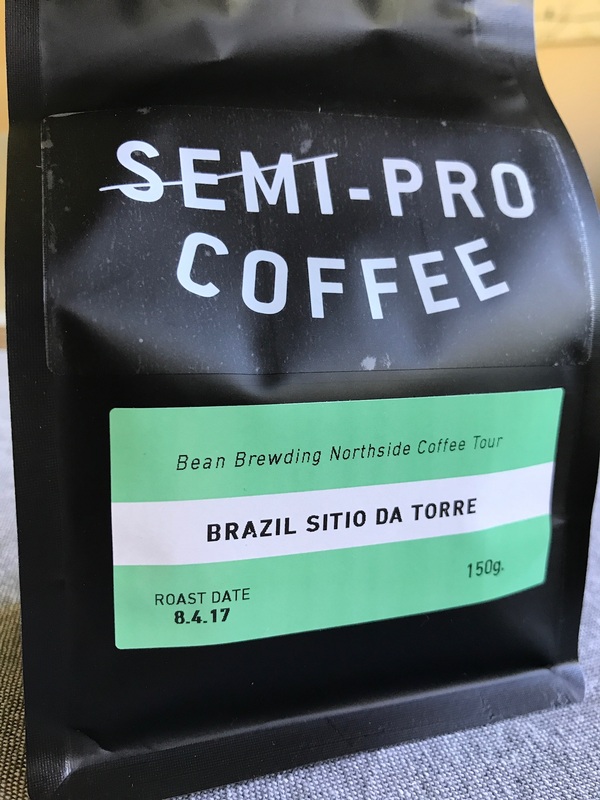 Once our taste buds had been awakened, we were keen to move onto espresso and manual brewing, the result of which was always going to be plenty of drinking and tasting. 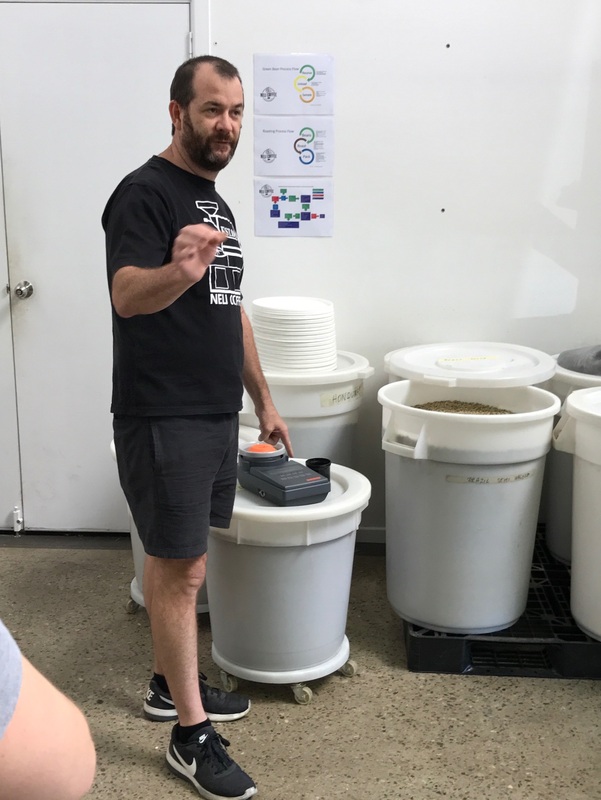 We worked through some espresso brewing and extraction theory, with Danny providing tasting samples from across the extraction (certainly not the usual Extraction) spectrum. 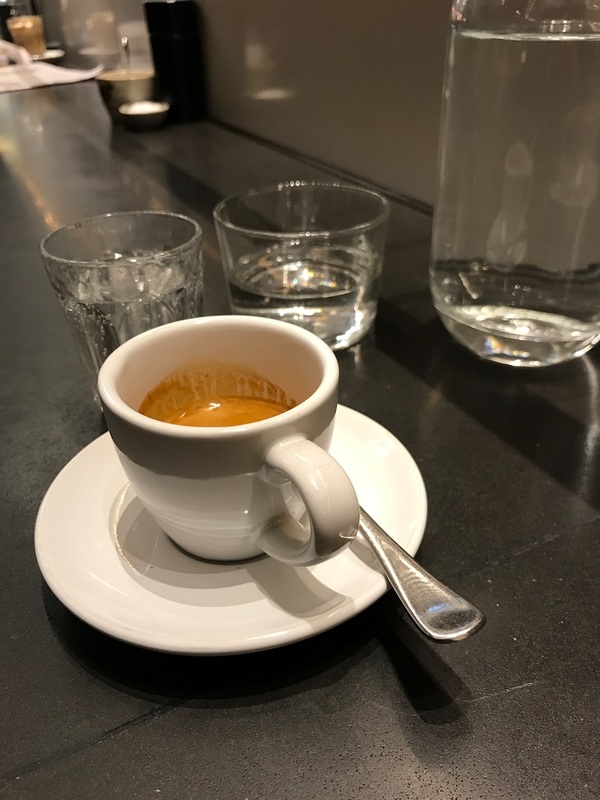 Comparing under, ideal, and over extracted espresso, I must say it is the first time (and what will no doubt be the only one) in about 8 years that I have ever received sub-par espresso passed from Danny across the bar. Jokes aside, the intended lesson was heeded, with a group of twisted faces savouring not one moment of the sour, under extracted cup, with the bitter, over-extracted version not fairing much better. 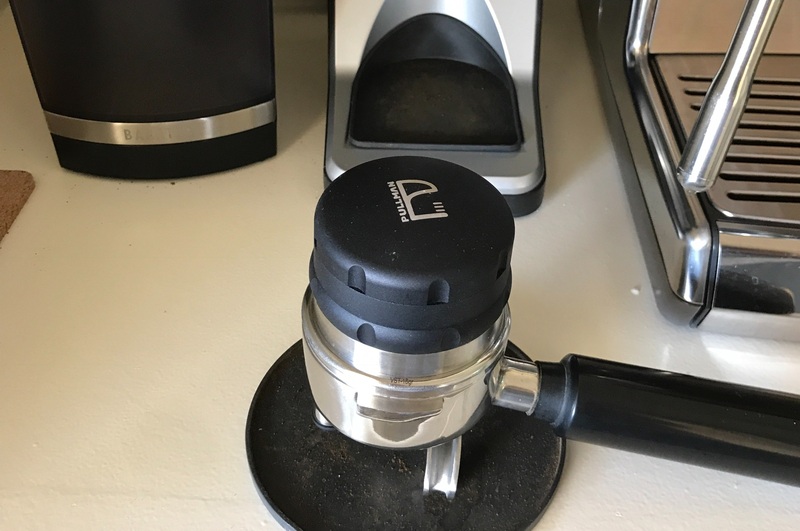 With the knowledge of what we were not aiming to produce, we were then let loose (with close supervision) on the Mythos One grinder and VA388 Black Eagle gravimetric espresso machine (yes — I did notice a couple of differences compared to my Baratza/Sunbeam combo at home). 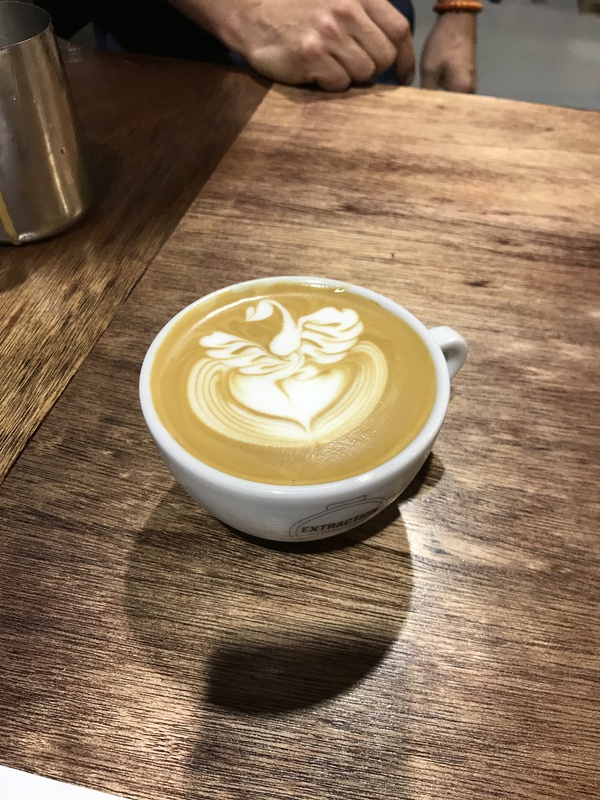 We all managed to produce espresso within Danny’s requisite brew parameters, and with a little further assistance, managed to top them off with some textured milk. I wouldn’t call what was on top any sort of art as such, however they were certainly enjoyable to drink, and it was nice to put a few key principles together and enjoy a successful result in the cup. 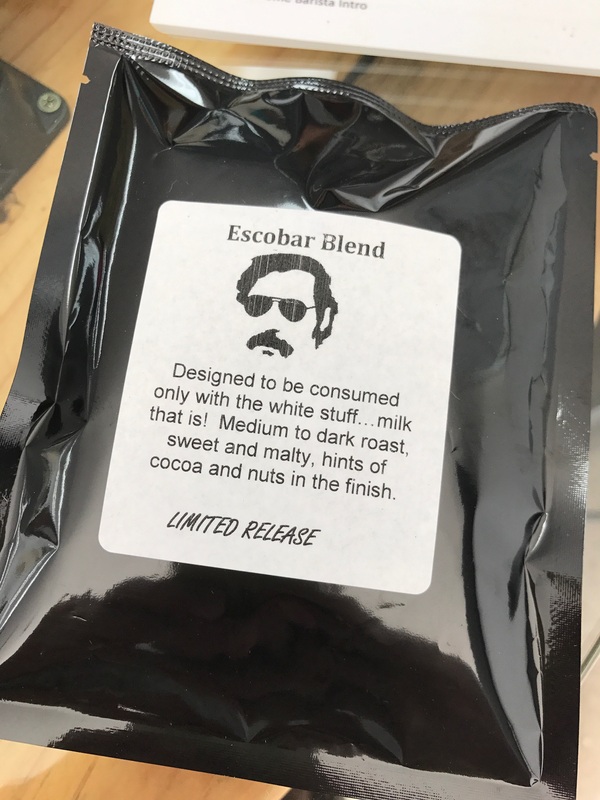 Finally, and with Danny giving up a lot more of his valuable time than originally planned, we moved on to manual brewing, looking at the V60, Trinity One, immersion cold brewing and cold drip. 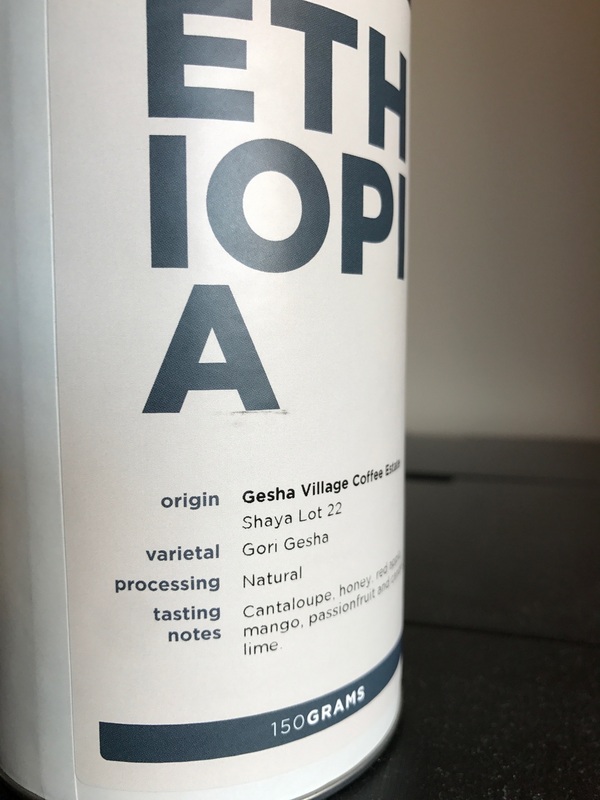 Once some preceding theory and brew parameters were discussed, much tasting ensued, with a controlled fermentation processed coffee a very fruity highlight. While scouring the internet and reading books are valuable learning methods in their own right — there is nothing quite like having a passionate, knowledgeable, and very successful industry expert graciously passing on some of that knowledge to those enthusiastically seeking a better understanding of the subject at hand. The Coffee Appreciation Course at Extraction was a perfect example of that. The key concepts, principles and theory are important, as are their practical application, however an opportunity like this goes far beyond a simple learning exercise. It’s about hearing a philosophy. The reasons behind a certain approach — and thinking about those reasons a little more fully. 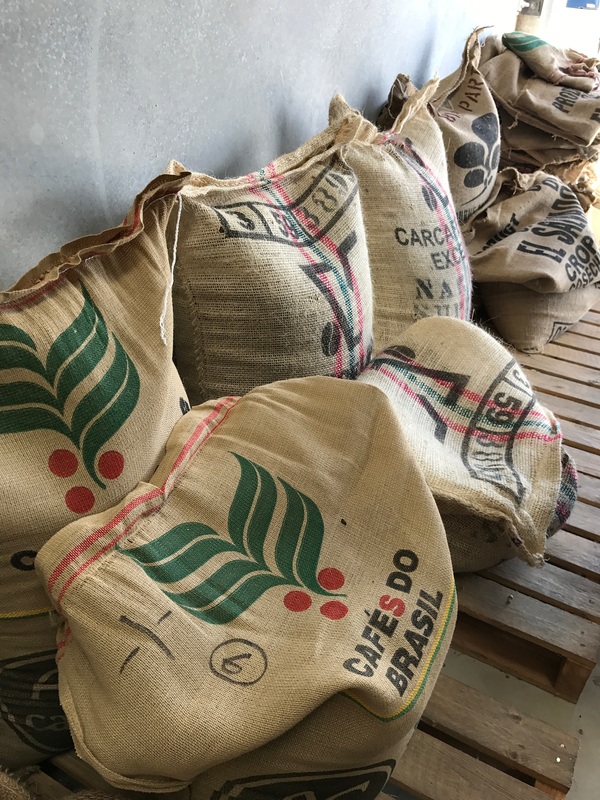 It’s about understanding the meaning of it all in the grand scheme of things, and the people, processes and effects behind the entire chain of a particular coffee. To me, that is what those few hours were all about. The intangible benefit of hearing about an entire philosophy, and its influence on everything up to, and including making a high quality cup of coffee. Something not able to be conveyed in its entirety on a screen or in print. It is here the value of a course like this really lies. 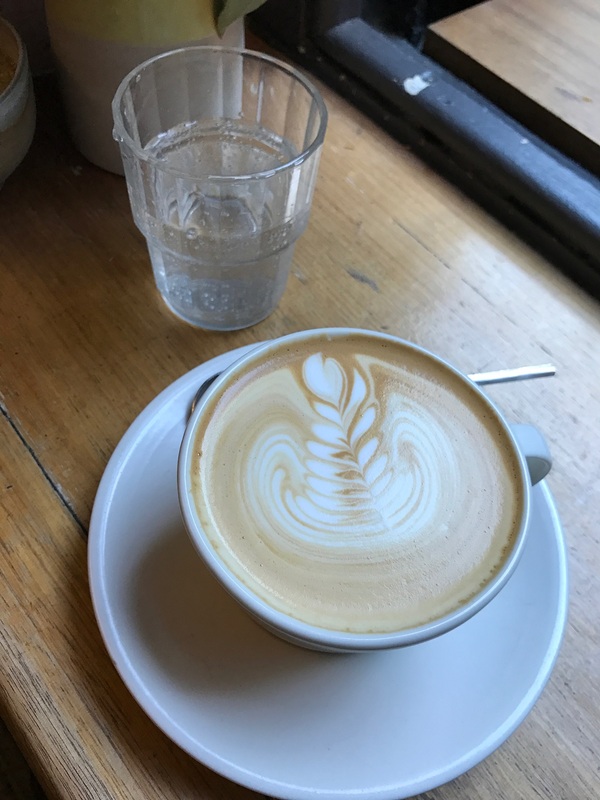 Far from a detailed travel diary or extensive review of the city’s coffee scene, after recently spending a week in Melbourne, I did have a few thoughts to share. 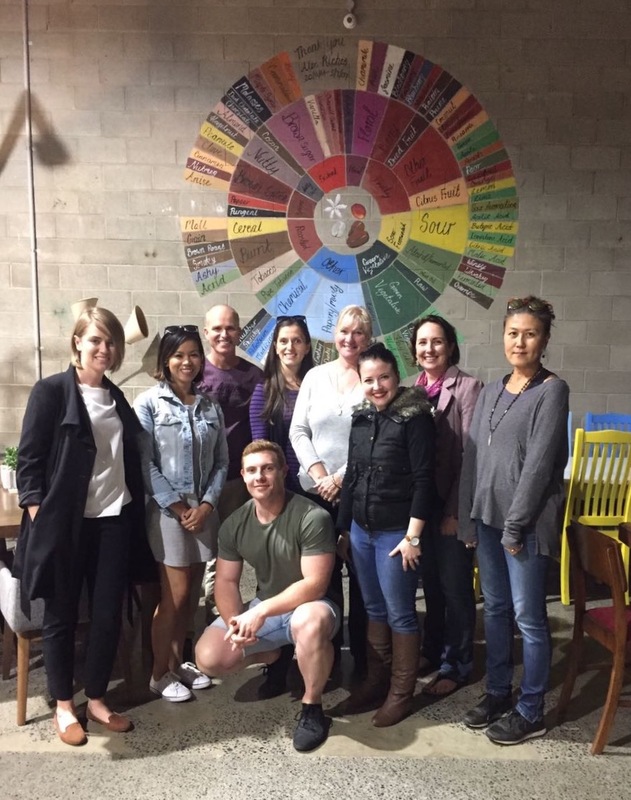 At its heart, the trip was all about visiting family to celebrate a milestone birthday, which coincidentally occurred over the same weekend as the Melbourne International Coffee Expo (MICE) for 2017. A brief visit to Pen City aside — as far as the usual themes of this blog are concerned — the trip was certainly more coffee than pens. A couple of hundred photos, along with 45 Day One entries logged the journey, which was as much as I would have liked to record without feeling I was constantly fiddling with my phone. A week-long extravaganza of family, coffee, exploration, and food — not too much to dislike about that really. Entering the expo in the Grand Pavilion at the Melbourne Showgrounds brings two words to mind: sensory overload. Add to that a fair amount of overwhelm for this first time attendee. It was certainly an experience, and took my wife and I an hour or so just to get our bearings and settle in to things. 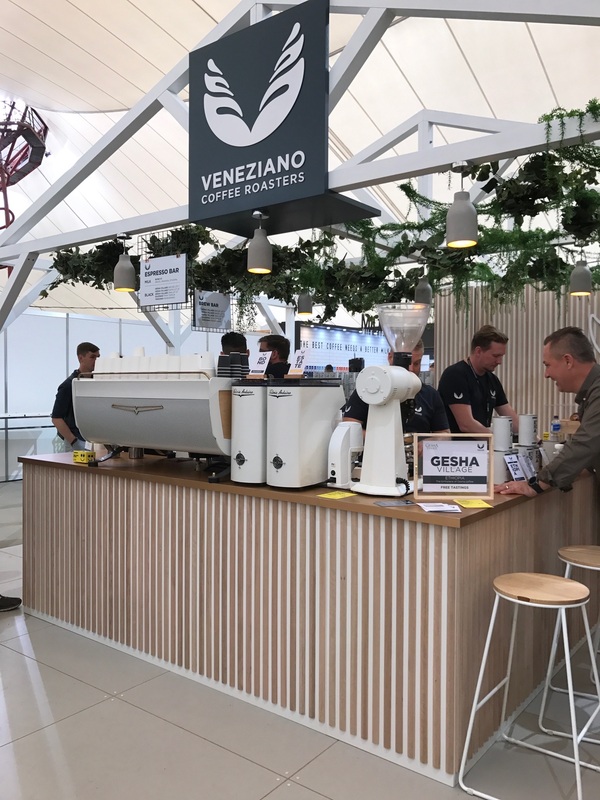 Perhaps of greater risk at such an event is caffeine overload, given the samples on offer from the many, many booths of specialty coffee purveyors. My initial voluntary restraint (given my uncertainty as to how these things work) was ably assisted in the latter part of the morning by the throngs of show goers pouring in the door. Pro-tip for next time: get in early and be just a little more aggressive with the tasting, for there will be a natural slow-down as lines and crowds increase over the day. Espresso-based beverages, batch and manually brewed, chai and milk alternatives. It was all there for the palate to behold, and although I didn’t sample everything I’d have liked (Five Senses Geisha Flight anyone), I came away very happy. Combine that with the many producers, roasters, brewers, custom machines, and gadgets in general — not to mention the competition stage in full swing — it was certainly an experience to behold and a must-see at some point for any coffee enthusiast. 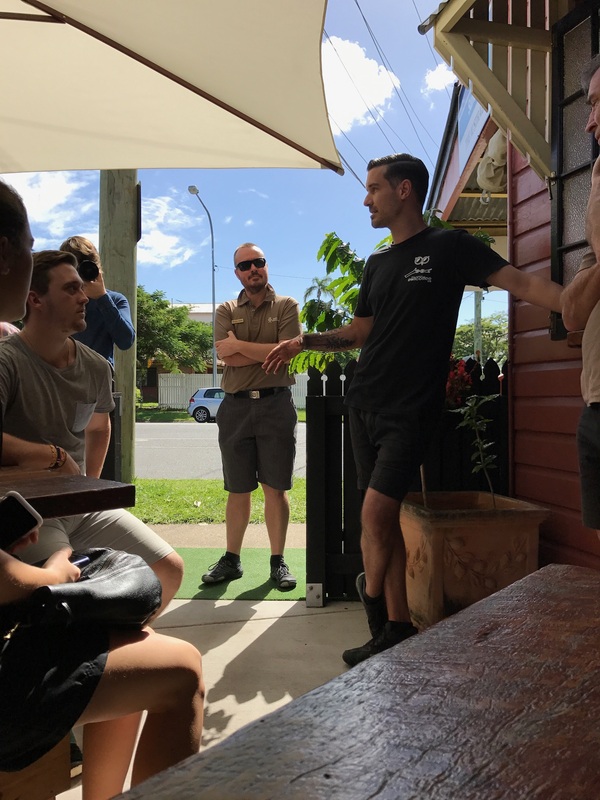 After picking up a couple of tools for home and a kilo and a half of coffee, the icing on the cake was catching up with some industry folk who have become friends over the years, and seeing some of them in their absolute element competing. To say it was inspirational only scratches the surface. Both my wife and I loved every minute of it. As you can imagine over the course of the week, more than a few cafés were visited both in the CBD and suburbs. For the purpose of this post, the specifics of particular establishments are not important, being largely determined simply by proximity, perhaps a glance at Beanhunter, and occasionally by reputation. If we assume Melbourne is the coffee capital of Australia as many perhaps suggest, then we’d expect a few points around this statement to also ring true. Namely, that the coffee is great, there is plenty of it, and it is easily found and readily available. On these criteria I’d say the city certainly ticks all of the boxes. 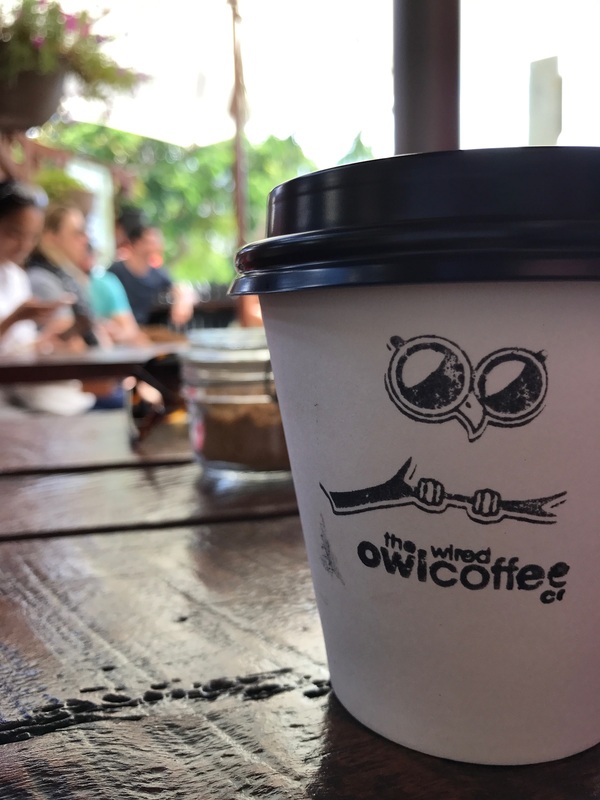 Does it “blow-your-mind” (for want of a better phrase) any differently to a “blow-your-mind” coffee in any other city — here in Brisbane included? No it doesn’t — and of course I wouldn’t expect it to. 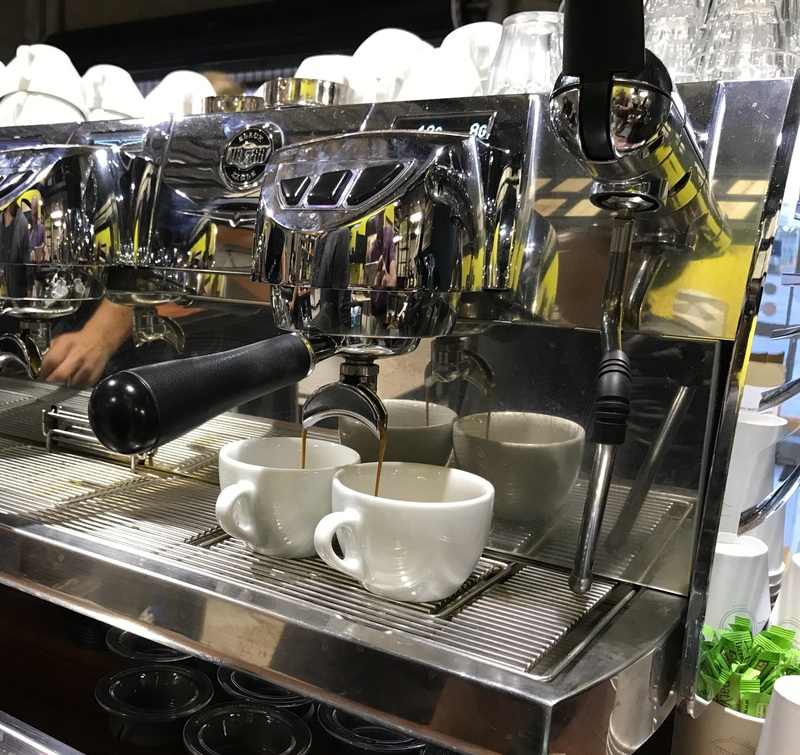 Outstanding coffee from the world’s quality producers, roasted by very talented people, and served to you by equally talented baristas can generally be found in most cites around the country. The usual “oh you’re going to Melbourne? 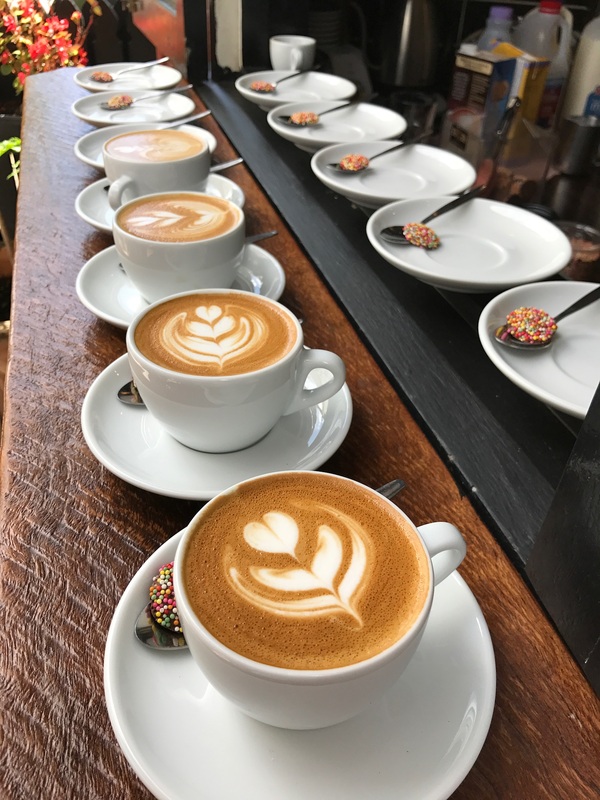 You’ll find some great coffee down there” is certainly 100% true, however on a day-to-day basis I can find equally great coffee in Brisbane as well. 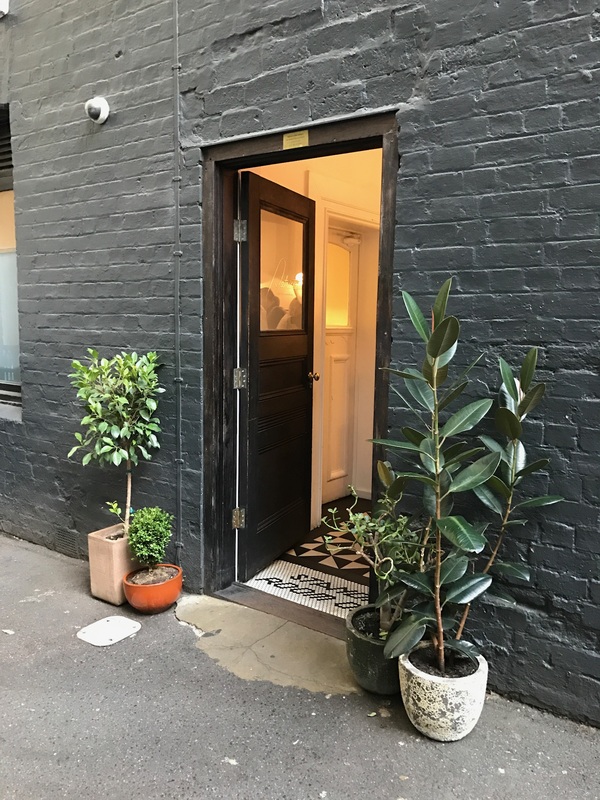 That of course says more about Australia’s specialty coffee scene than that of Melbourne per se — and as consumers — we are certainly far better for it. 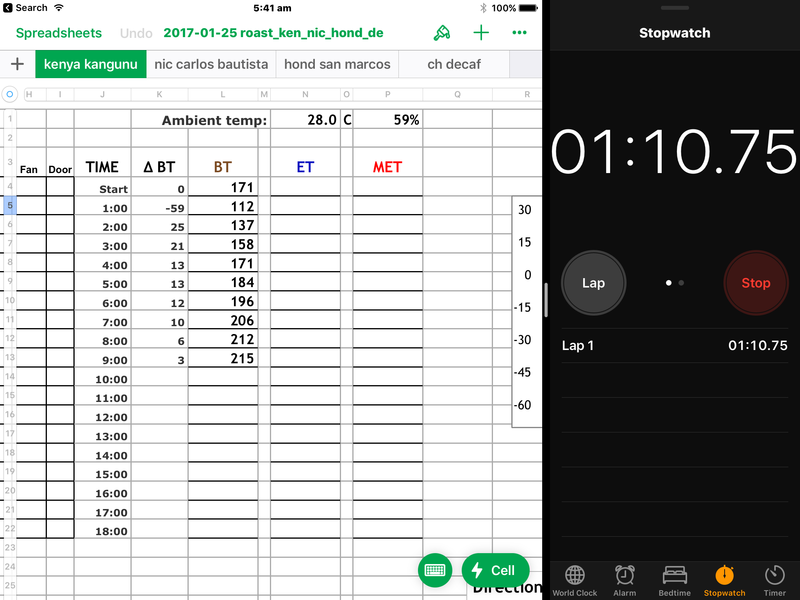 For reference, I logged many drinks with a Launch Center Pro template on my phone which added a formatted entry straight into Day One. My system is a simple one, and uses a four star rating. The coffee ratings from the trip ran the full gamut from one star right through to a full four. Again, the particular establishments themselves are not important, however for a couple I visited more than once, I’d say the usual challenge of consistency is certainly not tied to geographical location around the country. Probably the more relevant question in all of this is whether, upon closer and more rigorous analysis, am I more likely to find a greater number of my arbitrary “four star” establishments in Melbourne? Am I more likely to stumble upon great coffee rather than have to specifically seek it out or know where to look? I’d say the answer to both these questions is most likely yes, however shouldn’t we expect that for a significantly larger population than somewhere like Brisbane for example? Maybe, maybe not — however I think you get what I mean. 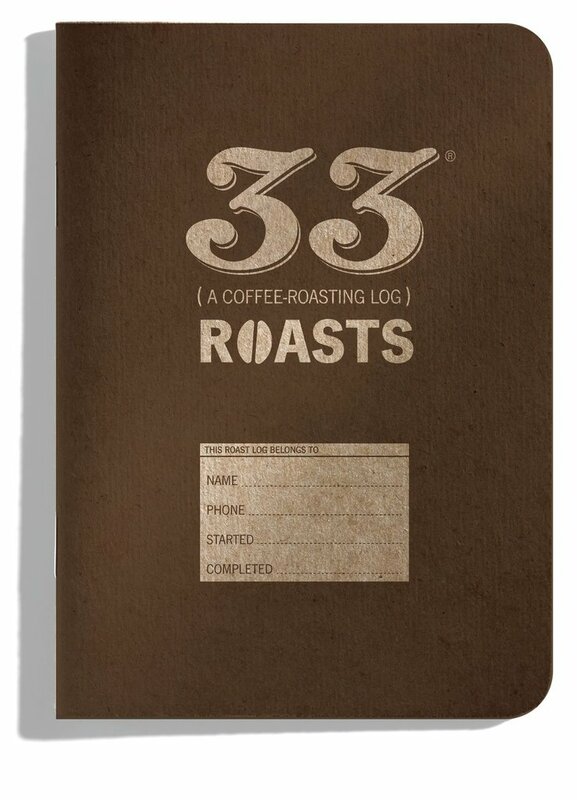 In summary, as for Melbourne’s coffee scene in terms of quality, availability and service? Absolutely loved it. It was fantastic to explore a little, see what’s on offer, and was in most cases a joy to experience. Being back home again in Brisbane, am I now yearning for more or lamenting the options available to me? Absolutely not, and that is a great position to be in, and for that I’m certainly thankful to the hard-working and passionate Brisbane coffee industry folk. The trip also contained its fair share of activities unrelated to coffee, despite what the paragraphs above would have you believe. As mentioned at the outset, there were family birthday celebrations involving lawn bowls, the usual tourist spots (National Gallery of Victoria, Shrine of Remembrance, and Eureka Skydeck to name a few), many trams and a good measure of dining. Add to that some general city meanderings and some obligatory shopping and we round out a fairly… well, rounded trip. Despite being given the short shrift here by word count, of course the largest slice of the trip pie chart was made up of these activities. It wasn’t all about me and coffee — though when those opportunities arose they were taken with both hands. Sharing time with family will always be the highlight of any trip like this one. Of course time being the valuable resource — there will always be more coffee. Beyond that it would be the visit to MICE, and walking amongst some very passionate, talented and hardworking coffee industry professionals. Absorbing as much as possible in an environment which only feeds into a cup already brimming with enthusiasm — and yes — perhaps a little obsession with all things coffee. 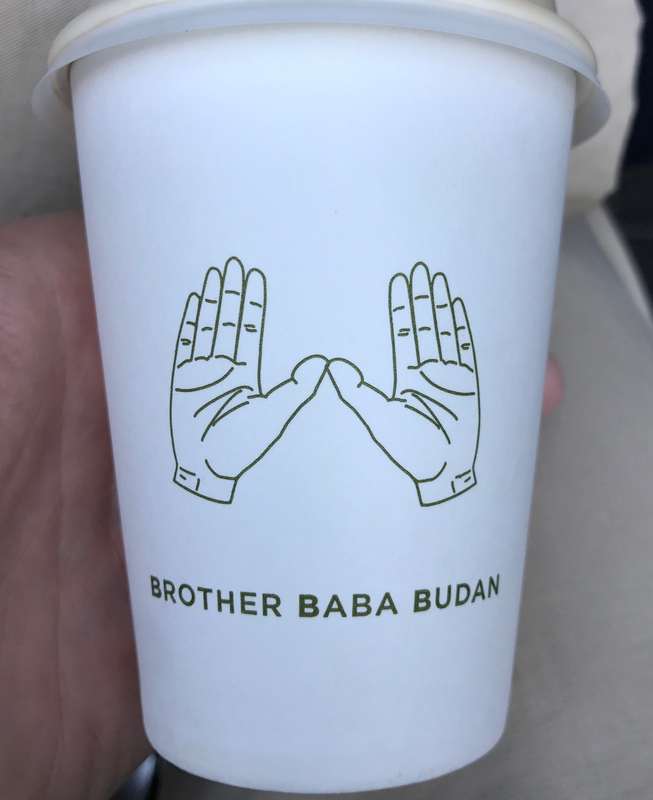 Finally, a dip into the Melbourne coffee scene is always something I welcome periodically, and on this occasion it was as enjoyable and enlightening as ever. Far from a lone beacon of specialty coffee — it is more accurately one tower in a series of stadium lights all around the country, collectively illuminating everything Australian specialty coffee has to offer. Thinking of MICE 2018? Yep – you’ve gotta go.